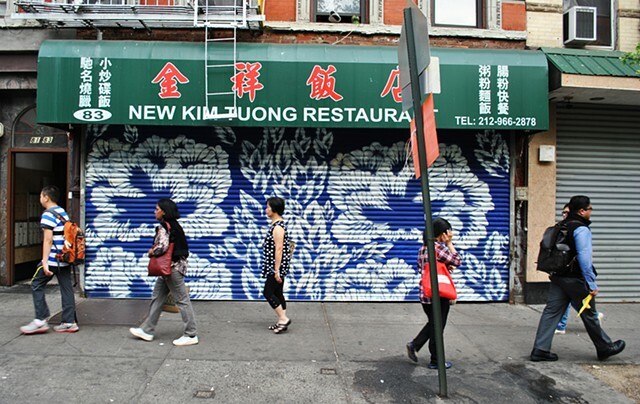 Chrystie Street was commissioned by NYC Lower East Side Business Improvement District as part of the 100 Gates Project. 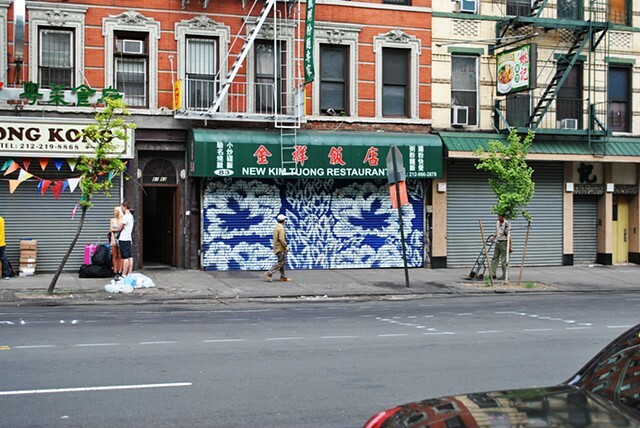 This piece is installed at 83 Chrystie Street, New York, NY. Chinatown is of particular interest to me because a beautiful historic culture coexists so apparently alongside contemporary society. 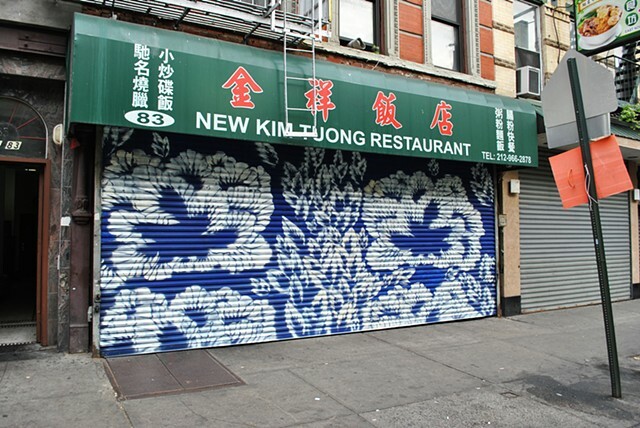 My piece for 100 Gates, 'Chrystie Street,' considers this tension through the consideration of 'kitsch' items available in the various shops in the Lower East Side area. I considered a number of souvenir-type housewares before creating my final design. I have an interest in historic objects and how they transform through various methods of appropriation into a more 'campy' existence.